"I have breast cancer." 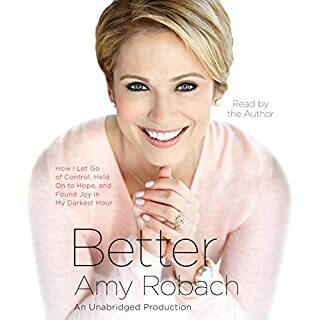 When Good Morning America anchor Amy Robach revealed her shocking diagnosis on live television in November 2013, the seasoned news reporter embarked on the most difficult and illuminating journey of her life. 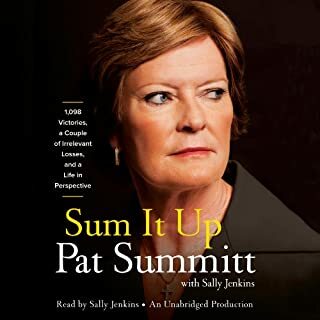 In this intimate memoir, she retraces the 12 months following her announcement and speaks candidly, for the first time, about how her illness affected her family life and her marriage, tapped in to her deepest fears and strengths, and transformed her in ways she never could have imagined. 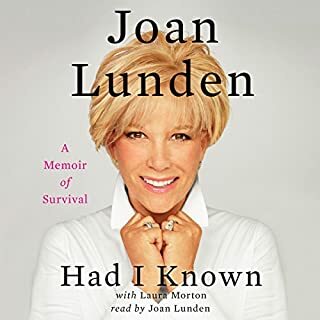 In Had I Known, the former host of Good Morning America, health advocate, international speaker, mother of seven, grandmother of one, and New York Times best-selling author Joan Lunden speaks candidly about her battle against breast cancer, her quest to learn about it and teach others, and the transformative effect it has had on her life. 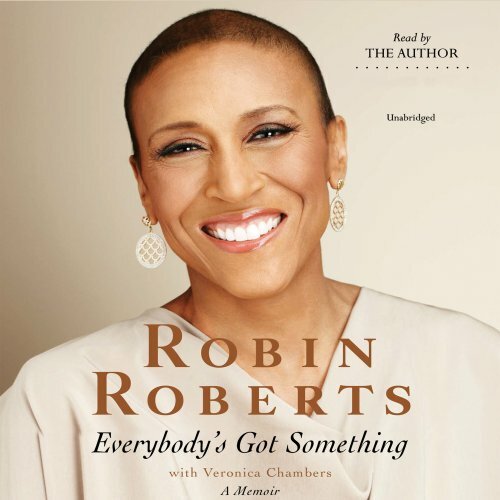 While most people say the key to success is a willingness to break the rules, to think outside the box, to ignore boundaries, Robin Roberts whose own spectacular success as a college basketball star, ESPN commentator, and co-anchor on Good Morning America is undisputed, is here to tell listeners something different. Audie Award, Business/Educational, 2016. America's favorite football player turned morning talk show host, Michael Strahan, reads his book of motivational advice on how to turn up the heat and go from good to great in pursuit of your personal ambition. Inspiring and chock full of advice that will help you make significant strides toward pursuing your dream, Wake Up Happy is a book no one, young or old, male or female, will want to miss. At once endearing and hilarious, thoughtful and far-fetched, this third collection offers Ali at her wisest and wittiest as she delivers tips, pointers, and quips on a host of life's conundrums and sticky situations, including the funny, sometimes embarrassing yet unforgettable situations that have shaped her inimitable world view as a wife, mother, actress, comedian, and all around bon vivant. "Regardless of how much money you have, your race, where you live, what religion you follow, you are going through something. Or you already have or you will. As momma always said, 'Everybody's got something.'" 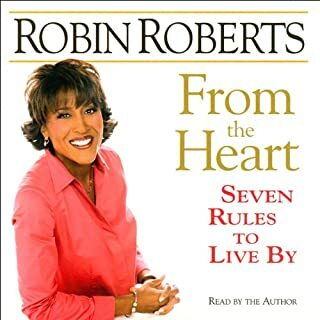 So begins beloved Good Morning America anchor Robin Roberts' new memoir in which she recounts the incredible journey that's been her life so far, and the lessons she's learned along the way. With grace, heart, and humor, she writes about overcoming breast cancer only to learn five years later that she will need a bone marrow transplant to combat a rare blood disorder, the grief and heartbreak she suffered when her mother passed away, her triumphant return to GMA after her medical leave, and the tremendous support and love of her family and friends that saw her through her difficult times. Following her mother's advice to "make your mess your message", Robin taught a nation of viewers that while it is true that we've all got something - a medical crisis to face, aging parents to care for, heartbreak in all its many forms - we've also all got something to give: Hope, encouragement, a life-saving transplant or a spirit-saving embrace. As Robin has learned, and what listeners of her remarkable story will come to believe as well, it's all about faith, family and friends. And finding out that you are stronger, much stronger, than you think. Having just come out of a season of loss, this book was a real life saver. Thank you Robin for writing it, and for sharing some of your (and family) philosophies. Its so true -- everyone's got something, so dust it off and keep after it. Pray, love and be true. That is all that matters. Along with many people in the country I became aware of Robin Roberts diagnosis of MDS and pending bone marrow transplant while watching Diane Sawyer on ABC Nightly News. This book is astonishingly honest and refreshingly upbeat as Roberts tells the shock of discovering once again she had to fight for her life. Roberts, a hall of fame college basketball player and host on ABC’s Good Morning America T.V. show tells the story of her recent bone marrow transplant. This new diagnosis was apparently an unusual complication of her prior chemotherapy for breast cancer. All her family was tested for a match and her sister Sally Ann was a match and was willing to donate her bone marrow stem cells to Robin. Just prior to beginning the critical phase of the procedure her Mother died. She tells how she manages to deal with the grief and the transplant together. The books co-author is Veronica Chambers. Roberts tells about all the people from close friends, family, colleagues from ABC and ESPN as well as viewer of GMA supported her in her recovery. She tells how fortunate she has been in having a great supportive family. Following her mother’s advice to make her mess her mission, Roberts is pushing for publicity for transplant donors. 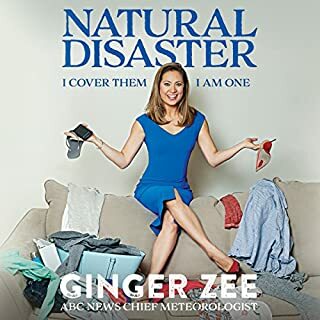 The book is well written with candor and optimism and is a remarkable book that offers a blueprint for handling crisis in one’s life. Robin Roberts did an excellent job narrating the book. Some wonderful moments...making your mess you message and everybody's got something, and can never have enough gratitude. Too much repetition though, and too much of all the names. Where does Everybody's Got Something rank among all the audiobooks you’ve listened to so far? 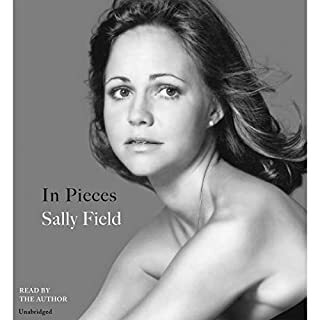 It was my first audio book, and I loved it especially because Robin narrated her own story. It was extremely informative as my husband is getting ready to go through a Stem Cell Transplant. She is an amazing women and I wish her good health and a continued happy life. I love Robin and admire her for strength throughout the many health challenges she's endured, but this book wasn't for me. I think it was choppy and all over the place. While I appreciate Robin's courage in the face of hardship, I had difficulty with the fact that her narration sounded as if she were interviewing someone or commentating a sports event. She is upbeat indeed, but sometimes it was over the top, to the point of sickeningly sweet. Lots of name dropping - people many of whom are her "dear, dear friends." Should have quit listening to it when these things really started bugging me. interesting to find out all Robin has been through. she's one hell of a strong woman. I absolutely loved this book!!! Just what I needed to hear!!! I really enjoyed this book!! Love, love, love this book. A celebration of life. Can't wait to share this one.